Wilwood’s Tandem Aluminum Master Cylinder is available in 3 bore sizes, 7/8” , 1” and 1.125”, and 2 finishes, plain, and polished. 7/8” bore master cylinders are designed primarily for manual applications and include a pushrod. 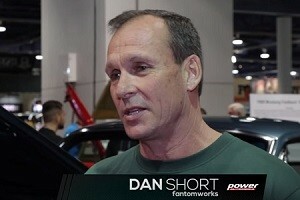 The 1” bore can be used in manual and power assisted applications and does not come with a pushrod. The 1.125” bore is designed for use primarily with power brake applications, either from vacuum assist or hydraulic assist systems. They’re designed for mount flanges from 3.22” to 3.40”, common measurements for most domestic cars and trucks from the mid 1960s to present, and offer fluid outlet ports on both sides of the bore. The stroke is set at 1.10” with a volume ratio of 2:1 between the primary and secondary chambers. Machined from high-pressure die castings, each master cylinder weighs only 3lbs, a 75% weight savings over most cast iron OE type master cylinders. Wilwood Tandem Master Cylinder 1-1/8" Bore, Plain Finish. Wilwood Tandem Master Cylinders have ports on both sides for easy brake line plumbing. 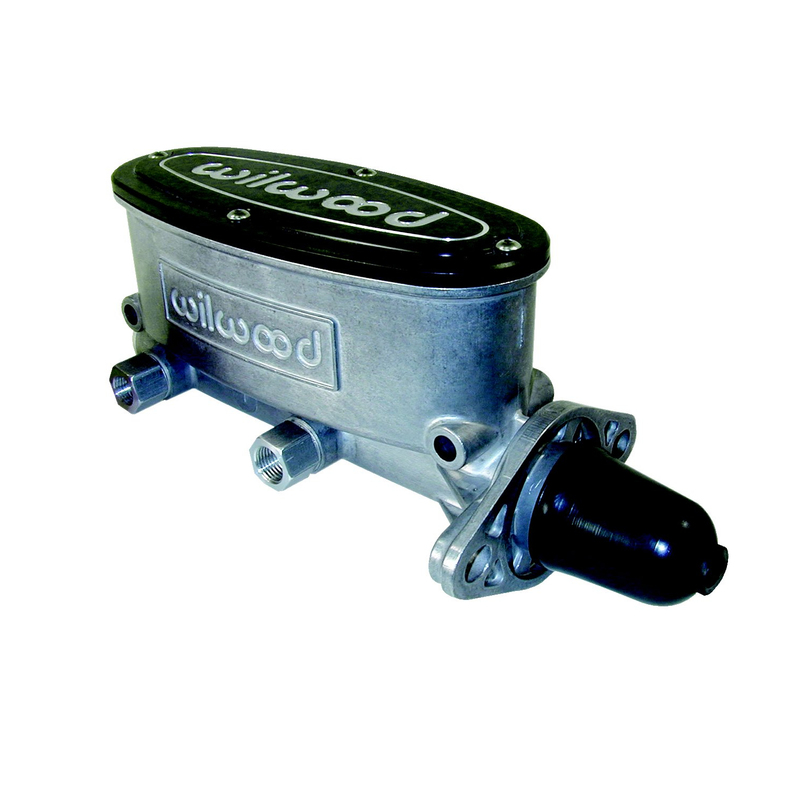 Wilwood tandem master cylinder 1" bore in plain finish. Wilwood tandem master cylinders have ports on both sides for easy brake line plumbing. Wilwood Tandem Master Cylinder 7/8" Bore, Plain Finish. Wilwood Tandem Master Cylinders have ports on both sides for easy brake line plumbing. Wilwood Polished Tandem Master Cylinder 1" Bore. Wilwood Tandem Master Cylinders have ports on both sides for easy brake line plumbing. Wilwood Polished Tandem Master Cylinder 7/8" Bore. Wilwood Tandem Master Cylinders have ports on both sides for easy brake line plumbing. Wilwood Polished Tandem Master Cylinder 1-1/8" Bore. 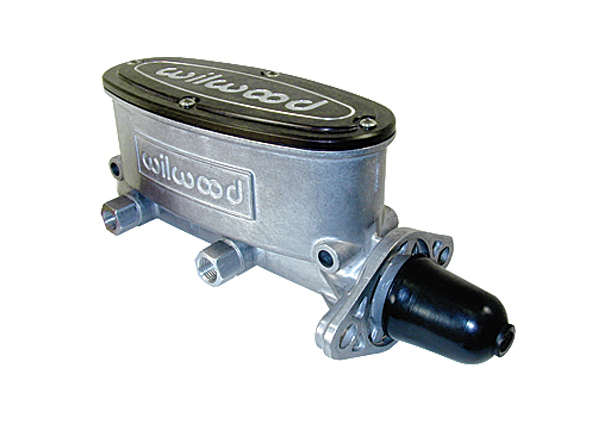 Wilwood Tandem Master Cylinders have ports on both sides for easy brake line plumbing.